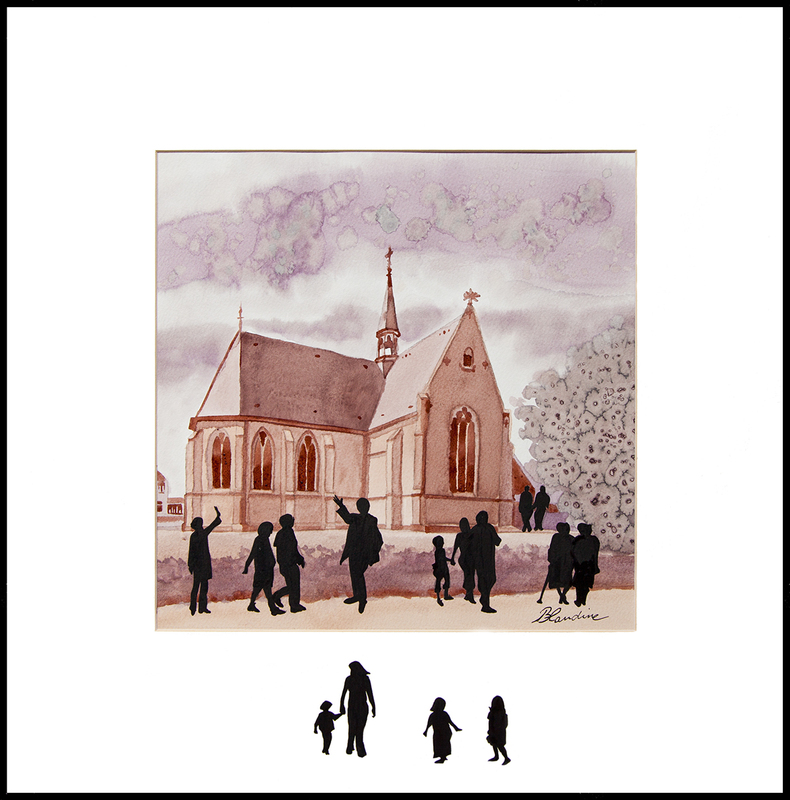 Special Vinorel (wine on paper) painted on commission for the parting gift of pastor Max Staudt who has left the parish of Chaam in july 2014. This vinorel represents the Ledevaert church with the parochians coming to the miss on sunday morning. It is painted with wine from Chaam (Dassemus wineyard red and white) and from Zeeland where Max Staudt leaves now.